Set launch dates. Track your team’s progress. 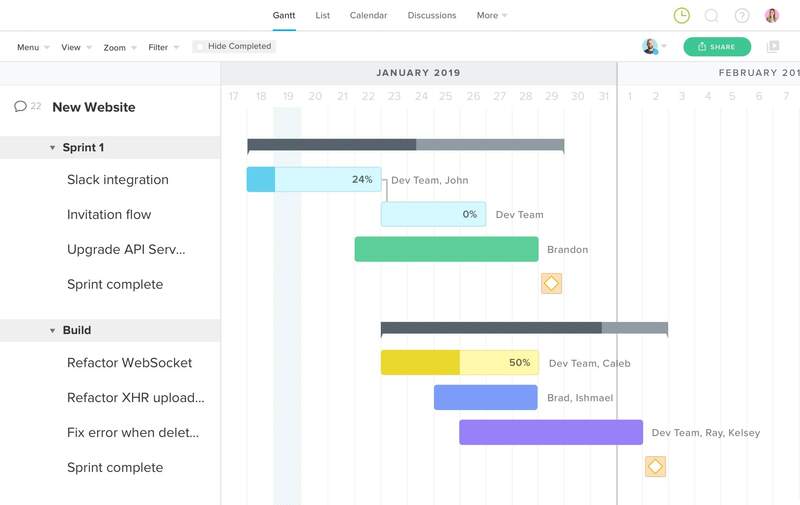 See what your team is working on and how changes impact your deadlines. 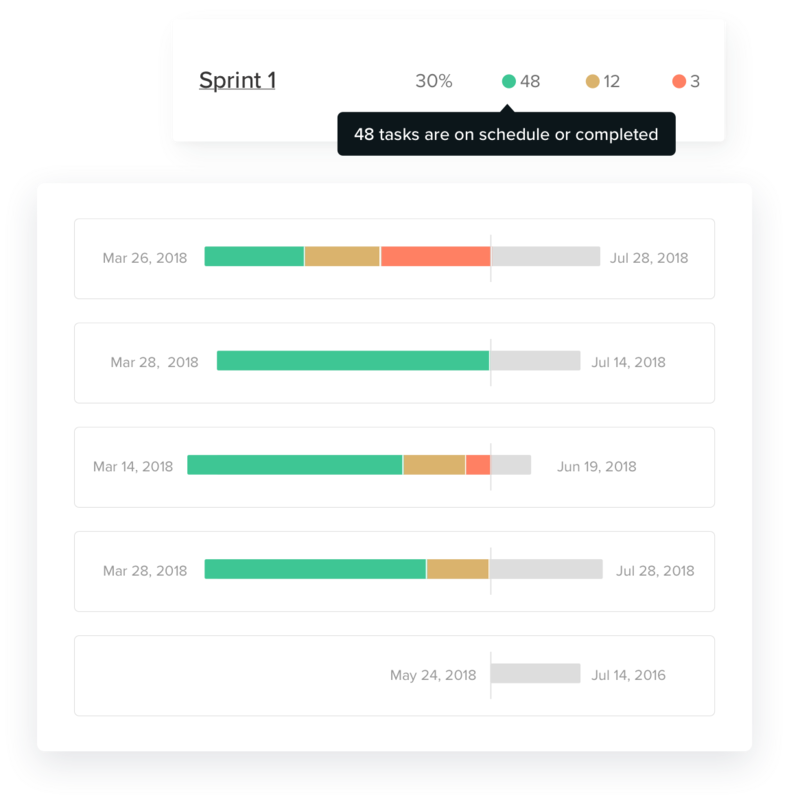 Quickly see tasks that are at risk of running behind or going over on hours or budget. 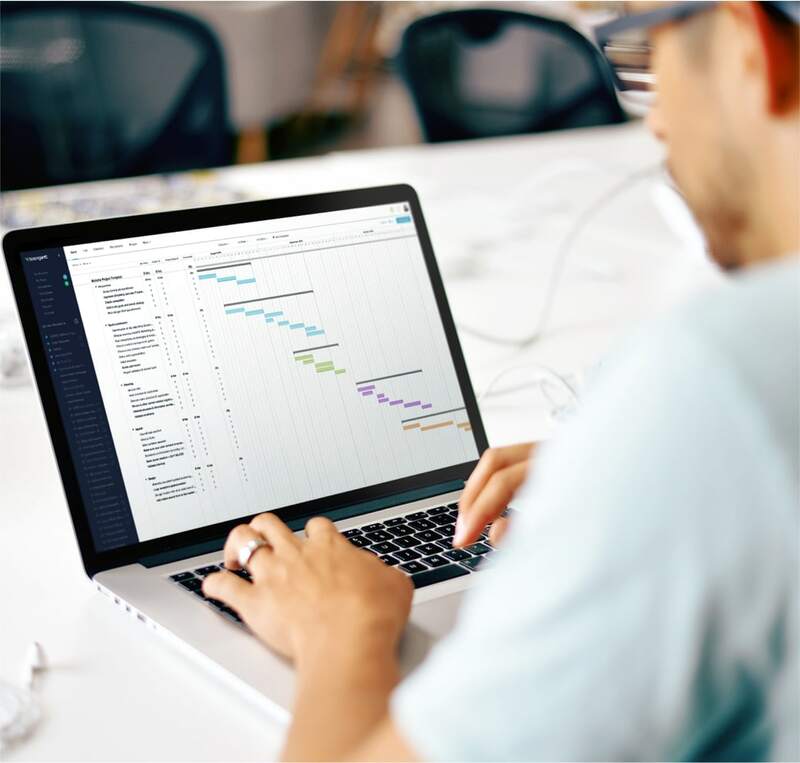 Compare your projected timeline with actual project progress. 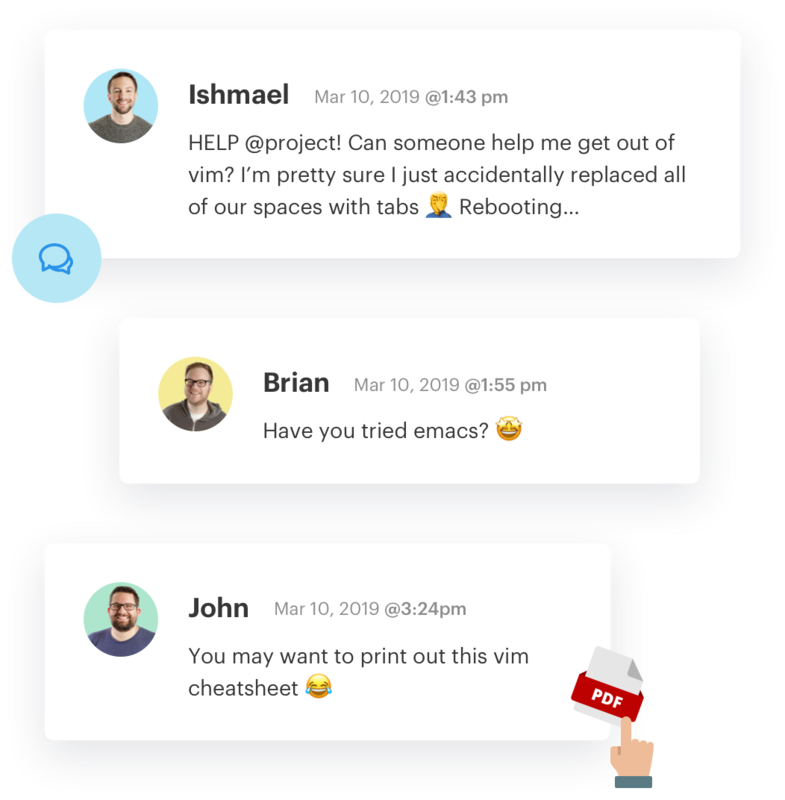 View every comment, update, and project document on a single page. 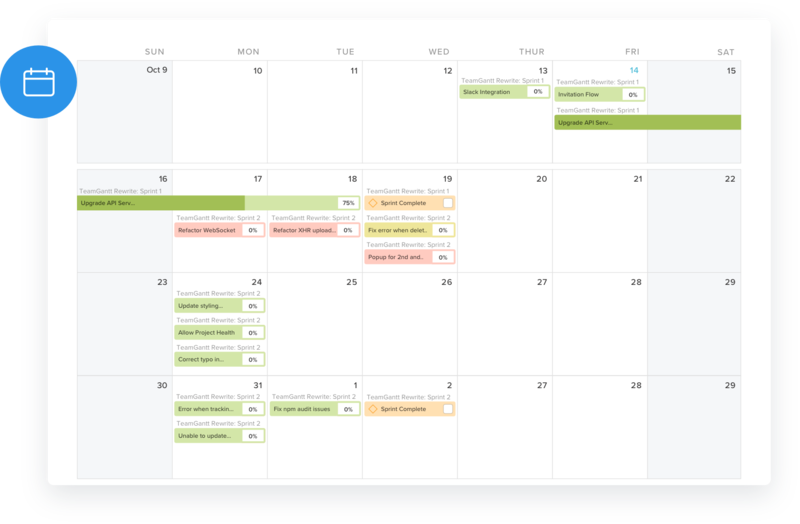 You can even share updates with clients who don’t have a TeamGantt account. File and prioritize bugs within a task. Mark them as complete so the team knows when they’re fixed. 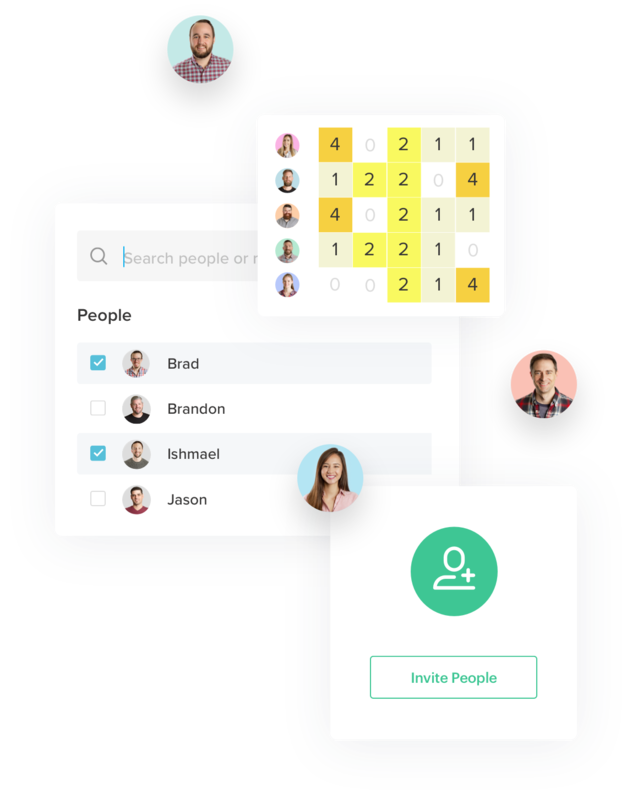 Track your team’s tasks, hours, and availability in one place. 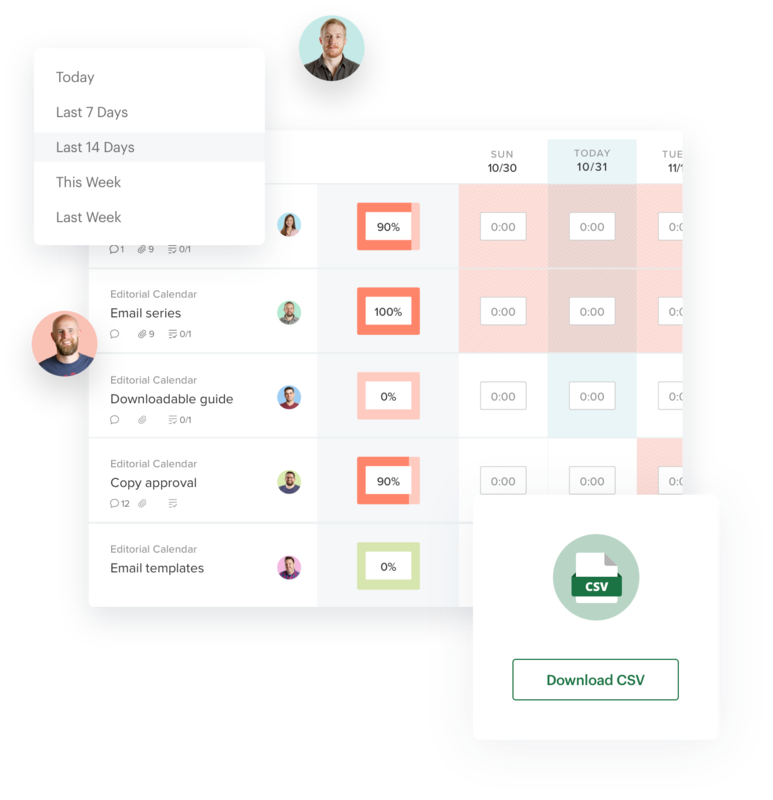 View workloads for your team with a single click. Stay on time and budget with easy-to-understand, visual reports. Easily see which projects are at risk of running behind. 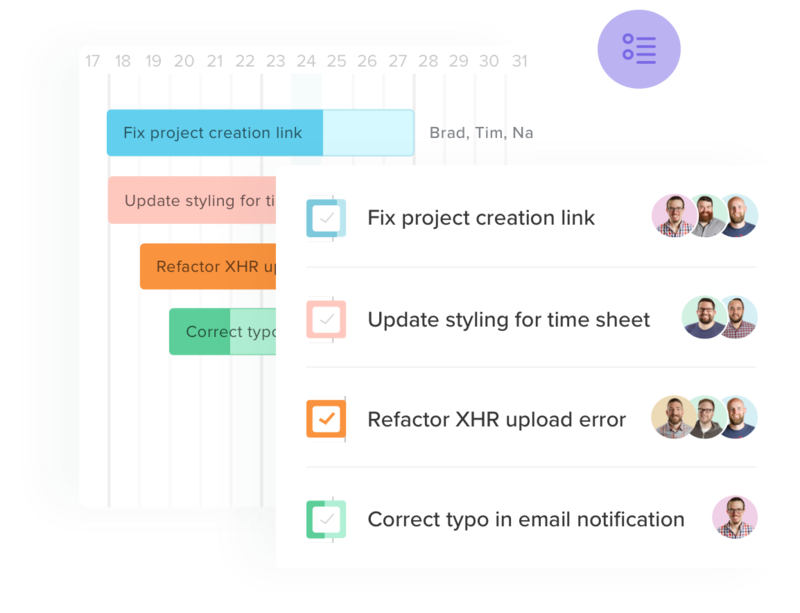 While TeamGantt is an all-in-one project management solution, we know it’s hard to break away from old habits. 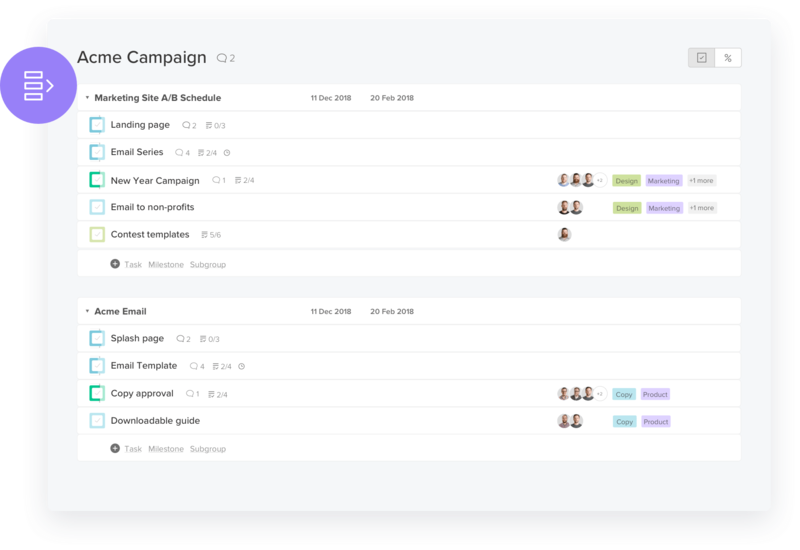 See all your tasks in one place. 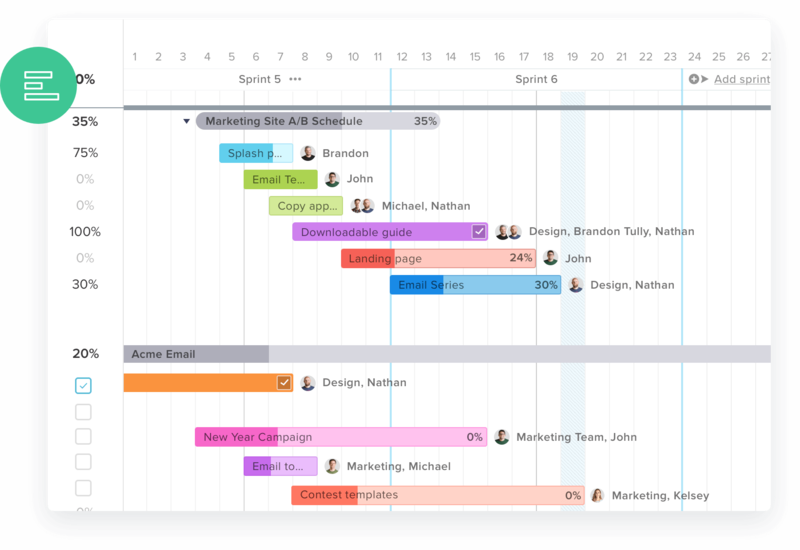 Easily view tasks by day, in a calendar view, a simple list format, or in a gantt chart. Send clients a view-only URL or invite them to the project as a guest. 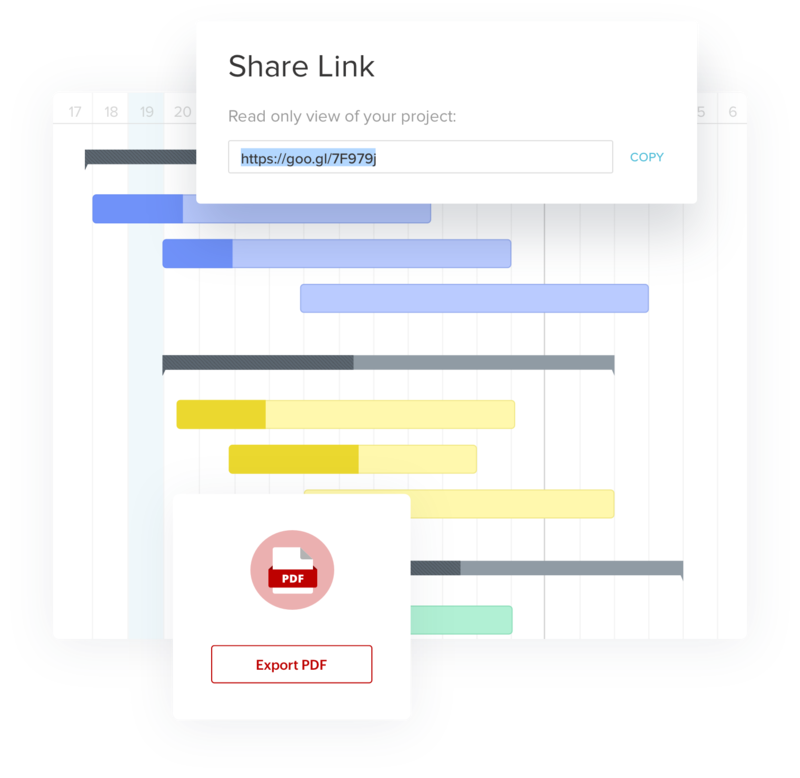 You can even export project plans as a print-ready PDF or embed it on any webpage. 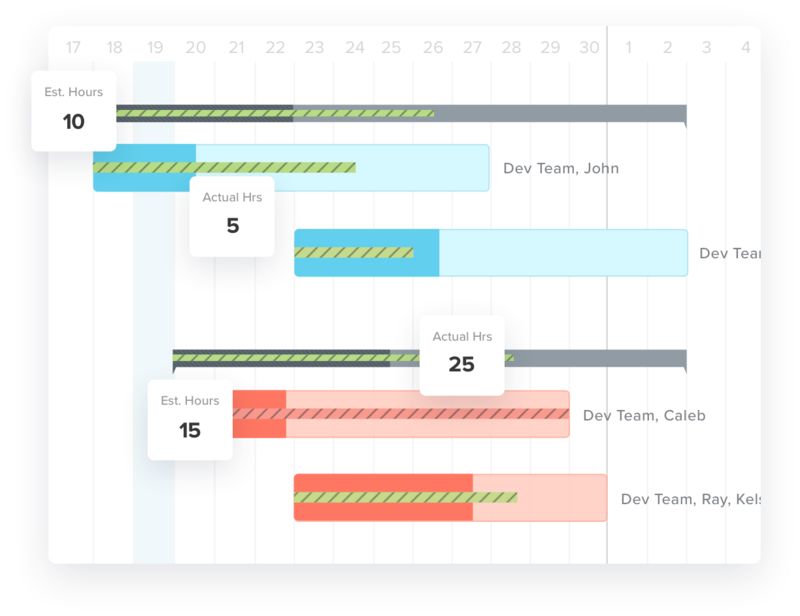 Generate time tracking reports for a team or an individual in mere seconds. Filter by date, person, or project. You can even download the report as a CSV. 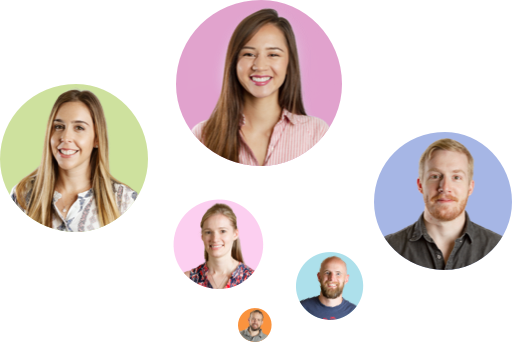 Get a response from support in as little as 5 minutes during weekday hours, with weekend and evening support available. 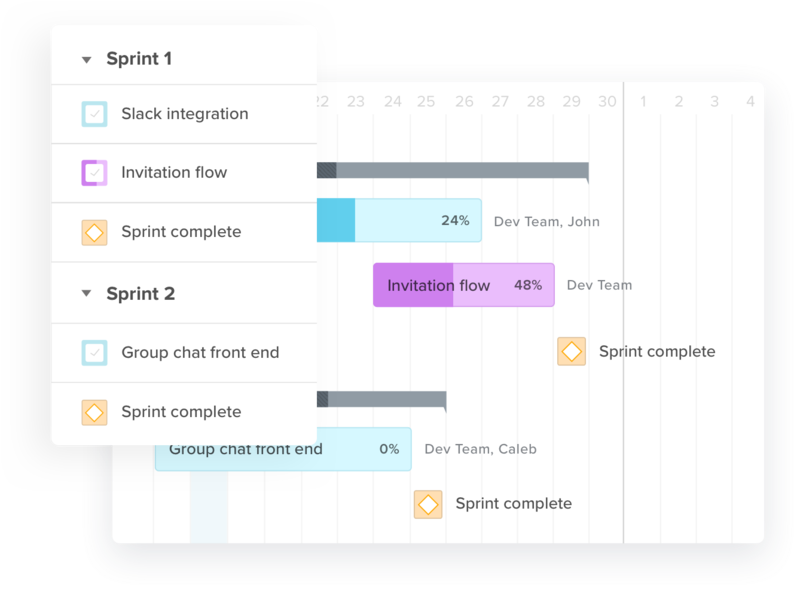 6,000+ companies around the world use TeamGantt to work smarter.